On April 2, 1987, IBM announced its new line of personal computers – the PS/2. After much discussion and an after-hours excursion to ComputerLand, my father’s law firm bought the very first IBM PS/2 Model 80 that arrived within the city limits of Tulsa, Oklahoma. 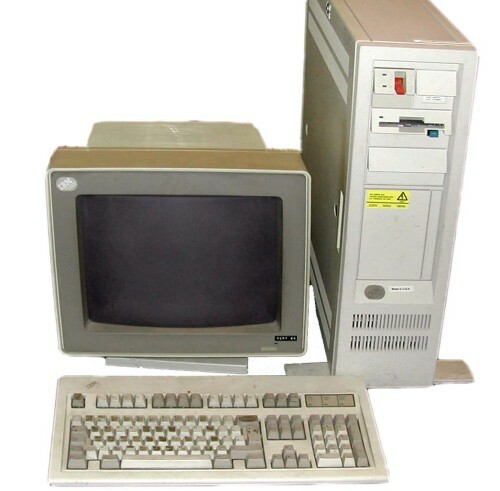 The Model 80 was a powerhouse with it’s Intel 386DX 20 MHz CPU. His firm spent $5,000 and got the highest capacity hard drive available. It was a 650 MB ESDI drive. Running Novell Netware, the Model 80 served as a reliable file server for years to come. The network speed of the LAN was a blazing 16 Mbps. The receptionist and secretaries each got an IBM PS/2 Model 50 based on the Intel 286 CPU. The firm also spent the extra money to get color monitors instead of the more common monochrome “green” screens. But the biggest reward was yet to come. Everyone got a brand new HP LaserJet Series II printer! With a price tag of $2,000 each, expectations were high that the 8 pages-per-minute print speed of the laser printers would quickly pay for themselves. And they did. Many of these printers saw duty of over 500,000 pages. When the last LaserJet Series II died, it had printed over 1 million pages! For a small law firm, this technology upgrade was a game changer. For example, when preparing the necessary documents for an estate plan, any last minute changes by the client could be reprinted in minutes instead of hours using the older daisy-wheel printers. During this time, I worked at OTASCO as a Financial Analyst and my availability as the “network administrator” was limited to evenings and weekends. Yet this hardware and software combination was robust and reliable and did not require much intervention. It certainly made an impression on me. For whatever reason, I remember the anniversary of this event each year!